Click on Facebook "Like" below to get updates on special offers, news, and more! if you are not completely satisfied. Helps Calm and Quiet the Mind. Try it FREE. Click here. 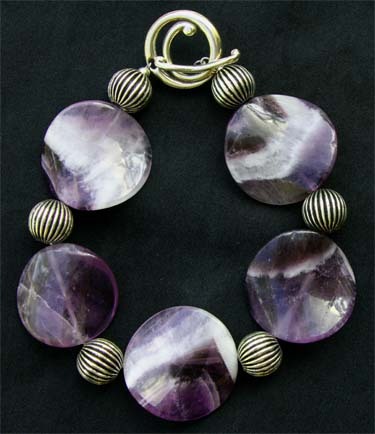 Amethyst is an extremely powerful and protective gemstone. It can calm or stimulate the mind as needed. 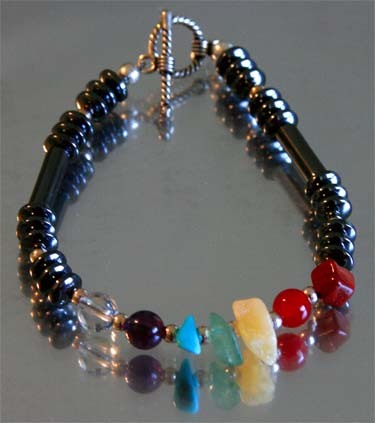 It enhances higher states of consciousness and meditation. It has strong healing and cleansing powers. 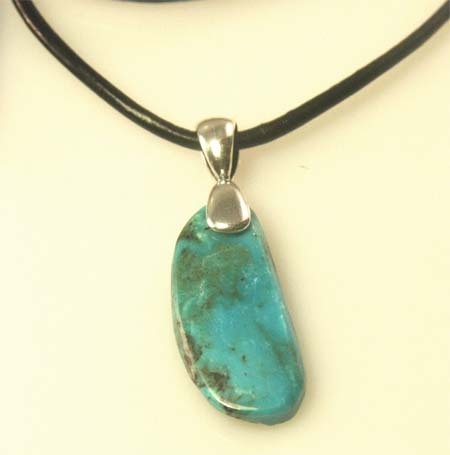 Natural turquoise is becoming more and more rare. 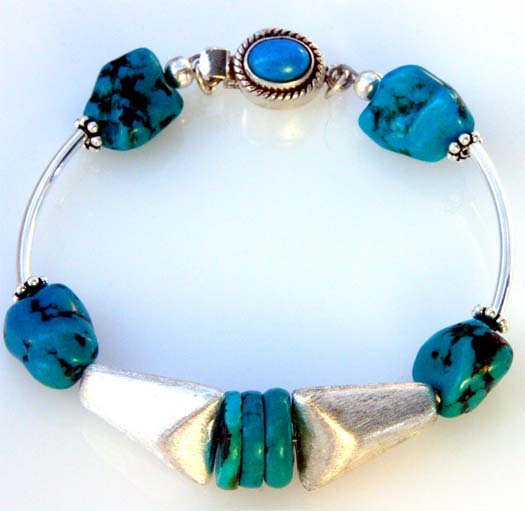 This beautiful bracelet brings out the richness of authentic turquoise by mating it with brushed silver accents. 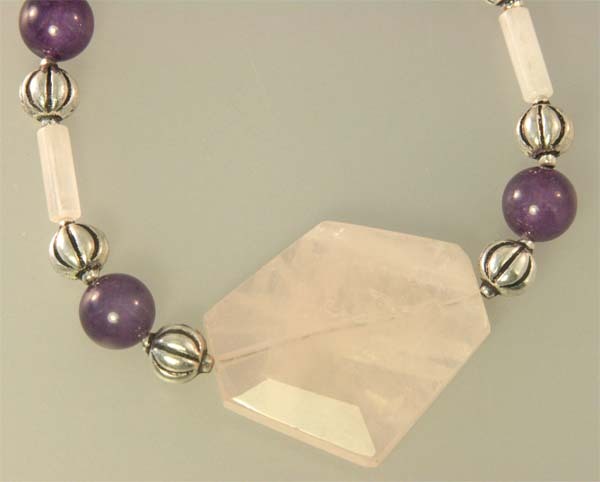 A soft combination of Rose Quartz with a large faceted stone as the focal point mated with all healing amethyst, accented with silver. 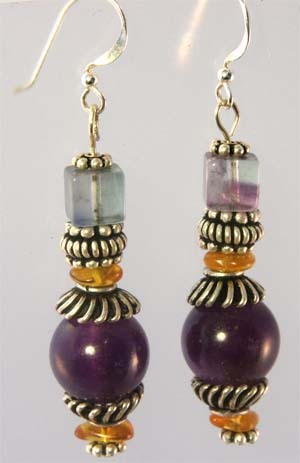 This design carries strong vibrartions of love and spirituality. 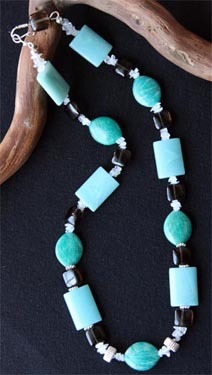 Turquoise is a powerful stone of truth and communication. 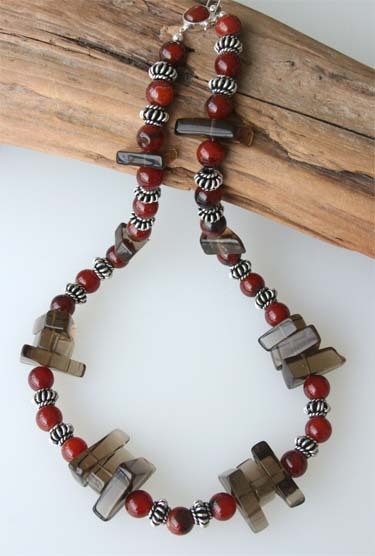 A striking look made of chunky Smoky Quartz and Carnelian. A powerful combination that helps calm, balance and center. 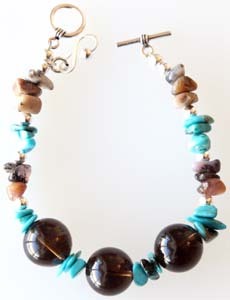 An attractive bracelet that can help restore tranquility and optimism, features Smoky Quartz, Turquoise and Opal. 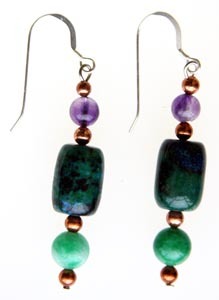 Combines Chrysocolla, Jade, Amethyst and copper. 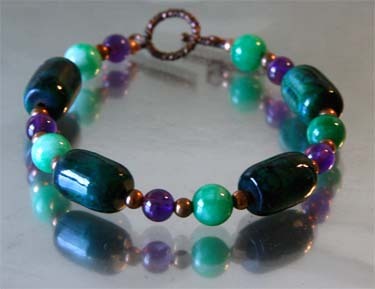 Beautiful accent with either the Feel Good Arthritis Bracelet or Necklace. 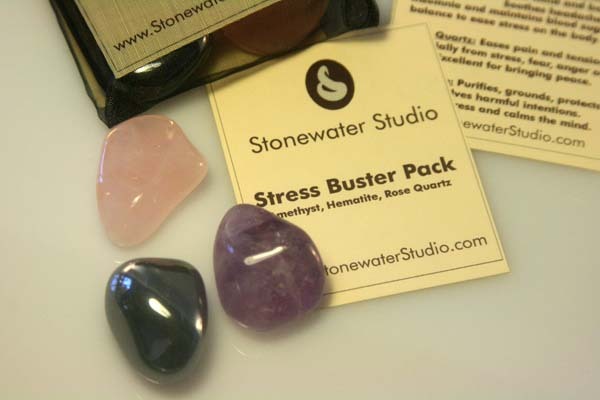 Created to compliment the Integrative Relaxation CD for Stress and also the Stress Buster System, this stand-alone pack of gemstones can be carried in a pocket or purse, placed on a desk or next to your bedstand to help calm and de-stress. 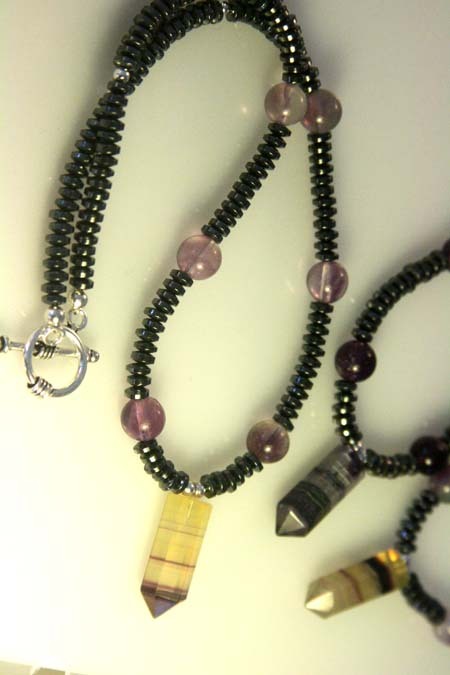 Contains Amethyst, Hematite and Rose Quartz in a very handy pouch, along with details about each gemstone. 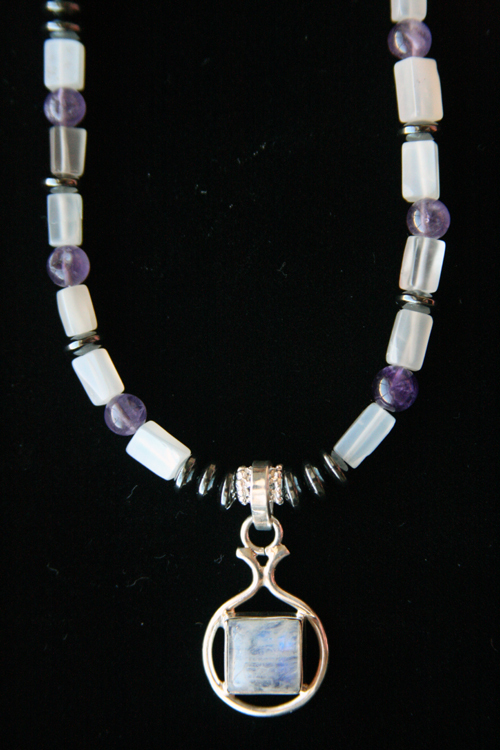 The Harmonizer Necklace features a Fluorite Pendant accented with Hematite and more Fluorite. 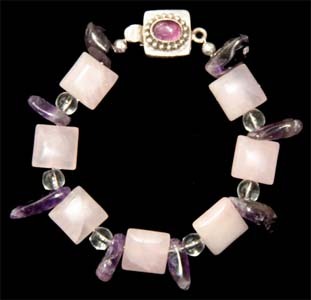 Works to draw negative energy, purifies and grounds. Helps relieve stress. Limited edition. Each one is unique. A perfect match for the De-Stresser Necklace. 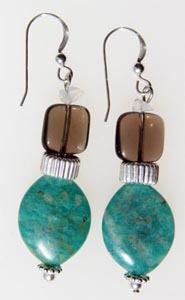 Combines beautiful Amazonite, Smoky Quartz, and Moonstone. 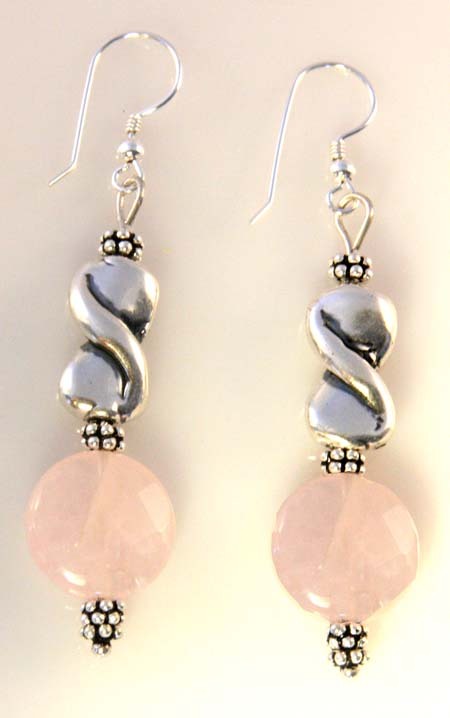 Elegant combination of Sterling Silver Bowtie with faceted Rose Quartz to calm and relax you. 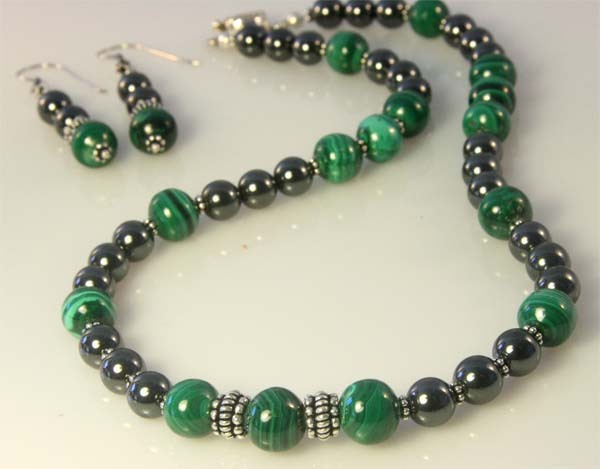 Mellow Malachite is a stunning necklace that can easily transcend from the business board room to a night on the town. 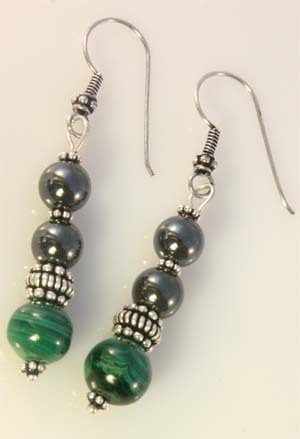 It combines Malachite for calming and de-stressing with Hematite that helps to ground and protect against negative energies. 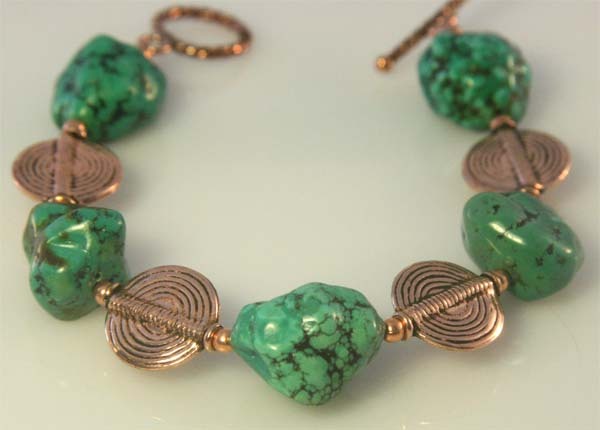 Turquoise combined with copper make for a powerful calming and healing design. 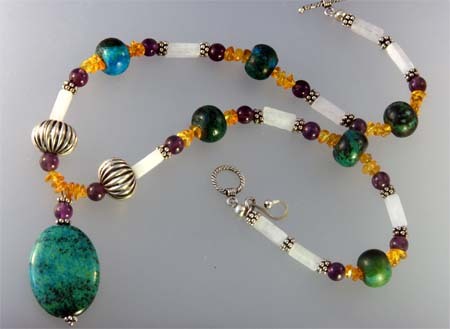 A delicate yet strong combination of color and gemstones that can work towards reducing stress which has become one of the most major threats to good health. A perfect match for the Youthful You TM Necklace, the earrings can also help regenerate cells and relieve stress. Wellness Specialist and Integrated Life Coach Peggy Sealfon is offering a "gift" to anyone in need this holiday season. Pay just half price on a private 30-minute laser session with Peggy. 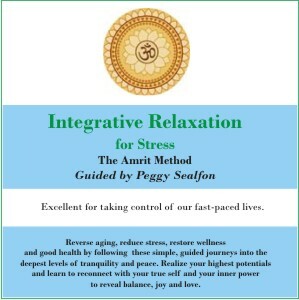 If you�re suffering tension, anxiety, sleeplessness or are just having coping problems, Peggy is offering a private session providing you with specific guidance that you can use immediately to reduce your stress and feel better.